When security concerns in the United States rocked Huawei’s ambitions to be the top smartphone maker earlier this year, the Chinese phone maker didn’t take kindly to become unwelcome in the world’s biggest market. In a CNBC report, Richard Yu, the chief executive officer for the company’s consumer business, even charged that competitors had turned to politics to oust it from the US. Huawei phones are still sold in the US, but advice from the country’s authorities to avoid them have made large retailers stay clear from stocking them in the stores. With its plans derailed, at least temporarily, Huawei seems to have now shifted its focus from high-end phones to mid-range phones in some global markets. Even though the margin from such phones are thin, the sales volume could make up for that. More importantly, it can help propel Huawei past Apple and Samsung, its stated goal. Shipments of mid-range phones grew 53 per cent in Southeast Asia in 2017 over the previous year, according to research firm IDC. Models costing between US$200 and S$400 accounted for 27 per cent of the market in 2017, up from just 17 per cent in the year before. In the region, the top player in this segment is Samsung, with its Galaxy J series. This is followed by Oppo and Vivo. Huawei is in the mix as well, but it trails its fellow Chinese rivals and the number one Korean manufacturer. It is thus easy to see why Huawei is so aggressive lately with its Nova 3i launch earlier this month. Priced at just S$398 in Singapore, it has many of the features of more expensive models but is aimed at more price-sensitive consumers. Indeed, the introduction of Huawei’s new Nova series bears testament to the Chinese firm’s ambition to enter the region’s diverse markets such as Thailand and the Philippines. The road ahead won’t be easy, however. Besides Oppo and Vivo, Huawei also has another Chinese contender to fight off. Fresh from its IPO in Hong Kong, Xiaomi will have funds to challenge, especially in price. The other competitors – Nokia, Asus, LG and Samsung – are expected to improve their phones in the coming years, in an increasingly tight market. Nokia has introduced its stylish Nokia 7 Plus and Asus’ ZenFone 5 and Max Pro are able contenders that give consumers an alternative to Chinese phone makers. And Huawei not only has to contend with these rivals but also with its own subsidiary brand, Honor, which is already familiar with many users in Southeast Asia. That may be part of the reason why the Nova 3 was not introduced in Singapore since both the Nova 3 and the Honor 10 have rather similar specifications. Both have the Kirin 970 chip, Mali-G72 GPU and 6GB of RAM. Instead, in Singapore, we get the Nova 3i, a less powered-up version, to compete in the sub-S$400 segment. The move is an aggressive one to win more of the market. As they say, better to eat your own lunch then have it eaten by a competitor. If there’s a problem with this dual-brand assault on the market, it is that it can be rather confusing. 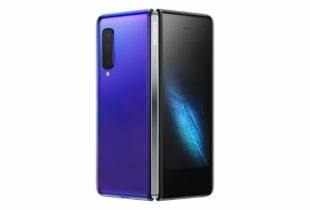 The Honor 10 has been dubbed a budget P20, Huawei’s top-end P series flagship model, for example. 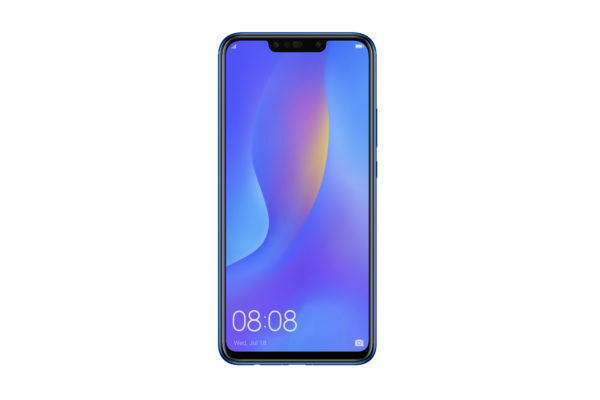 And when Huawei’s Nova 3i was launched a couple of weeks ago, some consumers were asking for the Nova 3 – a model similar to the Honor 10, which was already selling in Singapore. To have a stronger market presence, it won’t help to have Honor stealing the limelight from the Huawei brand, especially in the long run. Consumers would rather have the third largest phone maker be more consistent in its approach. It has to build on the good response generated by the Mate and P series in the past couple of years. Having said that, having more choices is always better for consumers. In that sense, the competitive offerings from Huawei have added to the options that they can have in the region. Certainly, these new models have raised expectations. According to a Huawei business report earlier this year, its brand awareness outside China has increased from 64 per cent to 74 per cent over a year. Will the mid-range strategy pay off for Huawei as it continues to solidify its place in the high end segment, likely with a new Mate series launch later this year? It’s still early to tell, especially with the changing tastes of users. What will be interesting to watch is whether it can fend off fellow Chinese phone vendors that have grown accustomed to a tough fight in a low-margin segment, back in their home market. The mid-range market will see many options for users in the month ahead. That’s good news for folks looking for a competitively priced phone.